“It’s important to us that the movie plays broadly and that we inspire young women as much as we inspire young men,” Lord told the BBC. 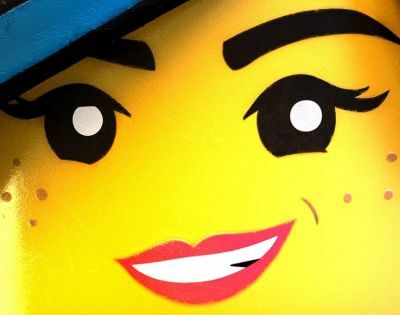 The LEGO Movie, despite featuring countless identifiable characters on screen, only featured three major female roles including Elizabeth Banks as Wyldstyle, Allison Brie as Unikitty, and Cobie Smulders as Wonder Woman. It’s unclear who will be in the sequel though, as Lord and Miller reveal, they’ve only scratched the surface on the script. “You would think there would be be more pieces in place but all we’ve written is ‘Fade in..,'” said Lord. Lord and Miller also recounted another interesting new detail on their film over at Yahoo! where they revealed that “Star Wars” star R2-D2 was almost a major player in the first film. “He was a Batman-level character,” Miller said, who if you recall has his own theme music as he was so integral to the movie. “We figured we could get R2-D2 because his voice wasn’t a human being,” Lord added. “Star Wars” characters did appear in the animated film for a brief moment though R2-D2 was not among them. R2-D2 is set to appear in next year’s Star Wars: The Force Awakens, and with at least two more “Star Wars” movies to be released between then and The LEGO Movie sequel, there’s always the chance he could appear in the follow-up.